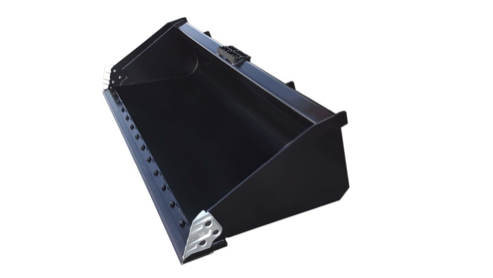 This super duty bucket is for high powered skid steers. It is rated for up to 110 HP machines. 1″ x 8″ cutting edge gives more strength to your bucket while giving you 2″ more cutting edge. A rolled back allows for exceptional cleanout. Reinforced quick attach and two piece back for extra strength. It has a low profile design for better visibility. Super Duty Track Loader Bucket Specs. Super Duty Track Loader Sizes.